Kids can see all snowflakes have 6 sides and not one looks the same! 1. Place paper in the freezer for a few hours to prepare it. Then, put the paper outside on a snowy day. 4. 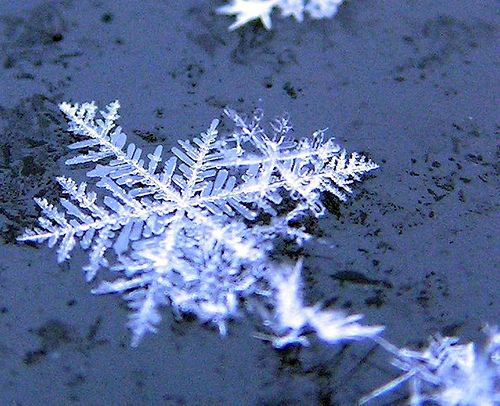 Use the magnifying glass to see the snowflakes up close. 2. 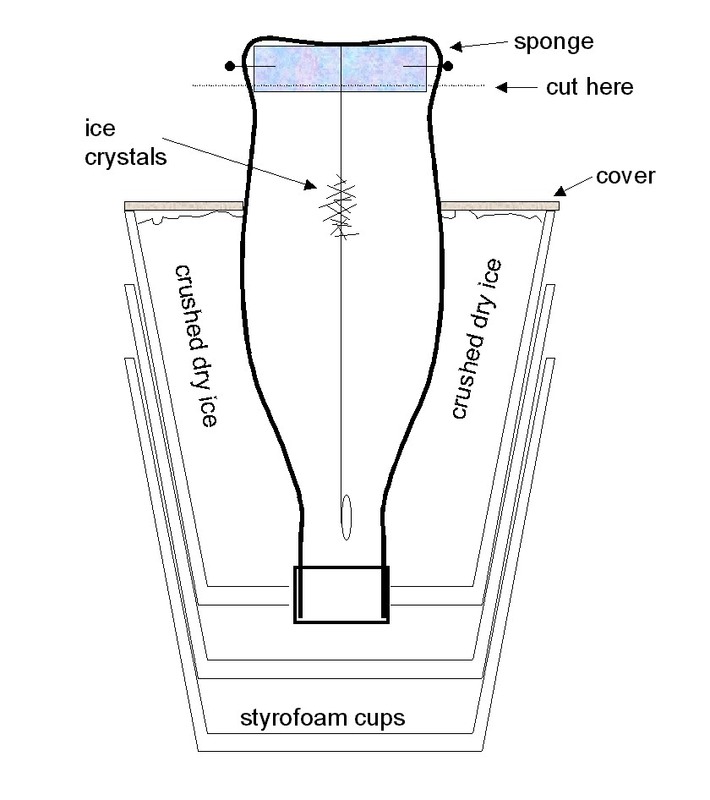 Experiment with Insulation and Ice - Cocopreme helped kids learn about thermal insulators and how they affect the temperature of ice. 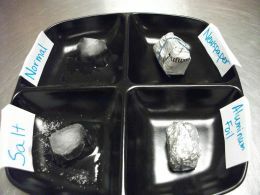 Document what factor caused the ice to melt the fastest: salt, newspaper, or aluminum foil. Also, try other forms of insulation. 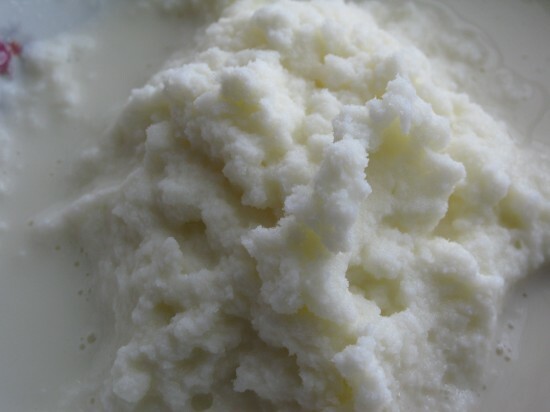 Photo is from KSPR, click the link for more snow ice cream recipes! 4. Grow snowflakes in a bottle! 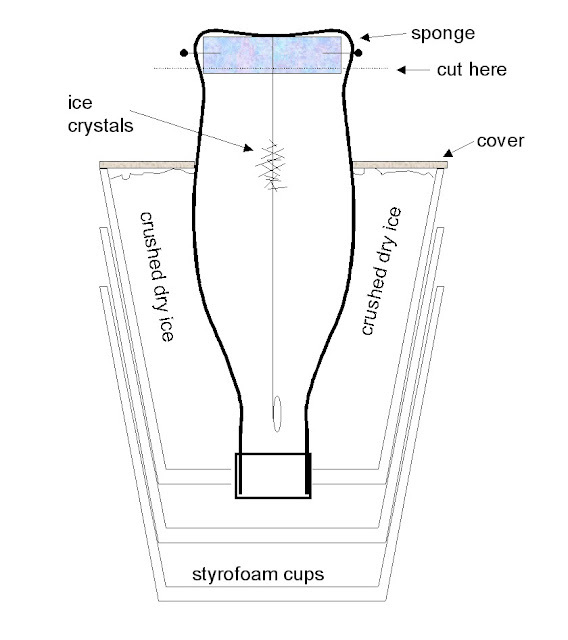 Find out how at Snow Crystals by Ken Libbrecht.